Getting sick is a bummer at any age--but it's especially harsh when you're a kid! 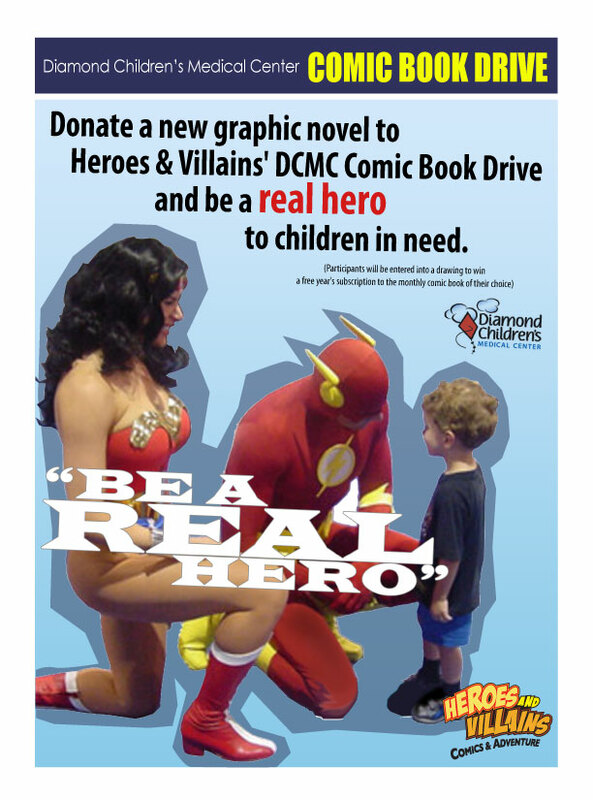 Every January Heroes and Villains collects NEW, all-ages graphic novels from its generous customers--people just like you--and donates them to The Diamond Medical Children's Center Library. 2013 is the third year of this initiative. To date, they’ve raised over $4,000 worth reading material. - Drop in the store anytime throughout the month of January, pick up a new, all-ages graphic novel and let your cashier know that you'd like to donate it to the book drive. - Call Heroes and Villains at 520-321-HERO and donate via debit or credit card. Or make a cash donation. Donations will be collected all throughout the month, and used to purchase books for the drive. PLUS: everyone who donates will be entered into a raffle to win a one-year-subscription to the monthly comic book of their choice!